Italian Prime Minister Matteo Renzi has compared Europe’s recent economic policies to administering drugs, in order to artificially prolong the life of a terminally ill patient. A regular critic of the European Union’s budget deficit rules, Renzi said in an open letter published by La Repubblica today (11 February) that austerity economics had resulted in Europe being left behind by the United States. “Insisting for eight years straight on a cure that does not work is a form of ‘therapeutic obstinacy’”, Renzi writes. “The countries that have had growth in Europe have achieved it only because they broke the deficit rules,” he wrote, citing Britain and Spain, currently growing, but running respective deficits at five and six percent of their GDP. Renzi added: “If a remedy is not working after eight years, I think you can call it pointless treatment. 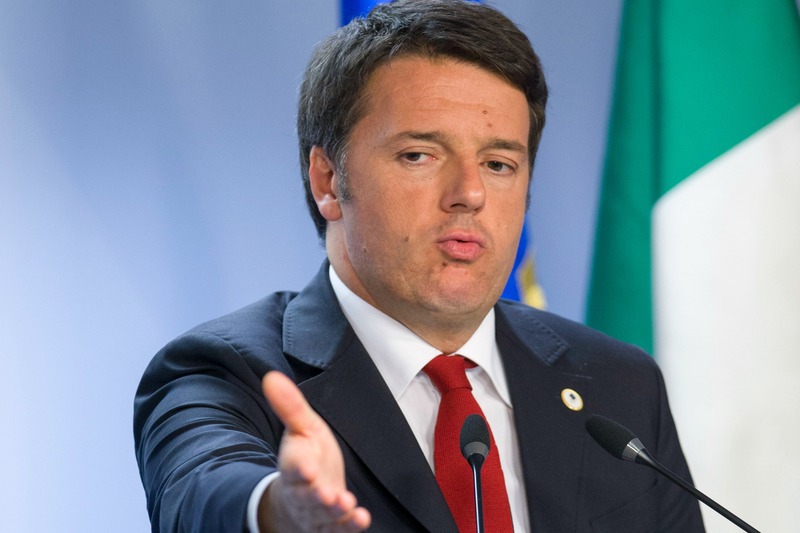 Renzi has clashed regularly with European Commission and German officials over Italy’s demands for leeway on the interpretation and application of rules on public finances for members of the eurozone. His latest onslaught came a day after he compared the EU to the orchestra on the Titanic, which is said to played on as the ocean liner was sinking. Renzi said a change of economic policy was much more important than the creation of a collective finance ministry for the eurozone, an idea being pushed by leading central bankers, and for which Italy has offered backing. Renzi also reiterated a proposal that future European Commission presidents should be appointed after US-style primaries to establish the leading candidates. The idea had been interpreted as a jibe at current incumbent Jean-Claude Juncker when Renzi first proposed it earlier this month. The Italian government approved a package of measures yesterday (10 February) aimed at helping the country’s ailing banking sector, including the creation of a guarantee scheme to enable domestic banks to offload non-performing loans. The scheme, drawn up following months of negotiations with the European Union, is designed to let Italy’s banks bundle at least some of their €200 billion of bad loans into securities for sale to free up their balance sheets. Italian banks have lost almost 40% of their value on the Milan bourse so far this year, pounded in part by investor concerns over their battery of non-performing loans, largely accumulated during the recent economic downturn. “We will do everything needed to resolve definitively the problem of non-performing loans within the framework of EU rules,” said Renzi, adding that the nation’s banks were more solid some of their European peers. “I am much more worried about other banks in other countries which are stronger in theory than Italy,” he told reporters, specifically mentioning Germany, whose largest lender, Deutsche Bank, has seen a major share sell-off this year. Renzi had hoped that Italy would be able to create a so-called bad bank to absorb a sizeable chunk of the non-performing loans and thereby allow lenders to offer more credit to clients in an effort to boost the lacklustre recovery. However, new European Union rules curbing state aid to the banking sector meant Rome has had to limit its ambitions. Under the scheme backed by the cabinet, the government will help banks bundle their bad loans into bonds by selling guarantees that will make some portions of the debt less risky. Critics have questioned how many banks will actually use this mechanism because analysts say it will reduce only slightly the gap between the balance sheet value and the market price of bad loans, the main hurdle that has blocked the trade so far. Other measures included in the cabinet decree were new regulations for small cooperative banks aimed at encouraging them to consolidate. Italy’s 371 credit cooperatives are part of a diffuse banking system and the Treasury believes mergers are vital to increase efficiency, boost transparency and lower costs. Renzi said the idea was to create a single group with capital of at least one billion euros, but added that no cooperative would be forced to sign up to this project. “None of these measures will resolve all the problems … but all these measures are additional pieces of the mosaic aimed at consolidating the banking system,” he said. In 2015, the Italian government forced the big cooperative lenders to convert into joint-stock companies, expecting that it would lead to a major consolidation drive. This has yet to materialise, but at least two banks — Banco Popolare and Banca Popolare di Milano — are believed to be in advanced merger talks. Renzi’s cabinet also approved a bill on Wednesday, which will need to be approved by parliament, aimed at accelerating the notoriously lengthy legal process surrounding bankruptcy cases in an effort to help lenders recuperate part or all of their outstanding loans as quickly as possible. La Repubblica: Renzi: "Europe has taken the wrong road, austerity alone is not enough"
If borrowers cannot pay back their debts it’s usually a sign that there’s something wrong in the economy. European stocks fell Thursday to their lowest level since September 2013. The US stock market has been deep sea diving since the first of the year. Crude oil is getting slammed, with West Texas Intermediate crude futures in New York falling nearly 4% to as low as $26.32 a barrel. The barrel is now worth more than the oil. Only dumb and dumber would advocate for austerity in these dire times. Corner shop economics is the problem Mike. Governments with their QE coupled with Central Banks negative interest rates are making money unavailable to the people (labor) that could actually spur an economic recovery. Consumer spending is 70% of any countries economy. Stock buybacks and acquisitions / mergers add more debt onto corporations that have seen their earnings drop into the single digit tiers. They are still paying their bonuses, never forget the bonus for bad or worse performance. As I often said the Eurozone needs to be or must be a federal one and not one with austerity ! What an intergovernmental protoshit those blasted economies of Europe are facing consistently degradations and stagnations after the Lehman self-shot and uS bubbling (2007) ! Moreover the lack of neurozone in leaders which are acting blatantly egoistic and irresponsible ! Either we are none are we are one !